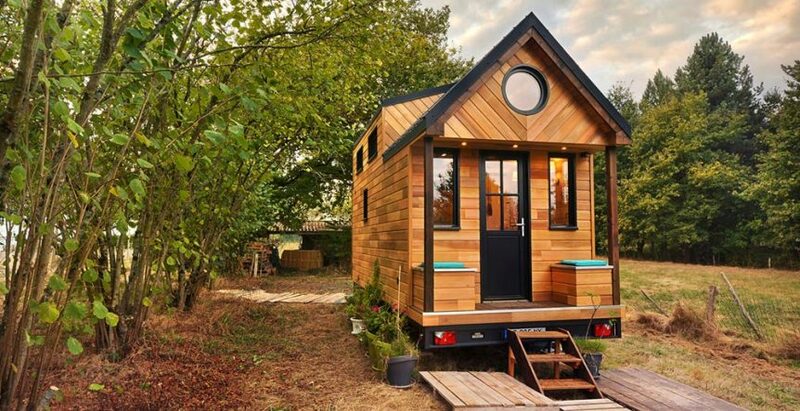 French builder Baluchon created this artistic beauty, Avonlea, for a bookseller that lives a few kilometers outside of Nantes. 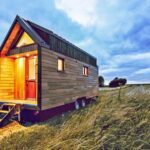 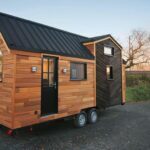 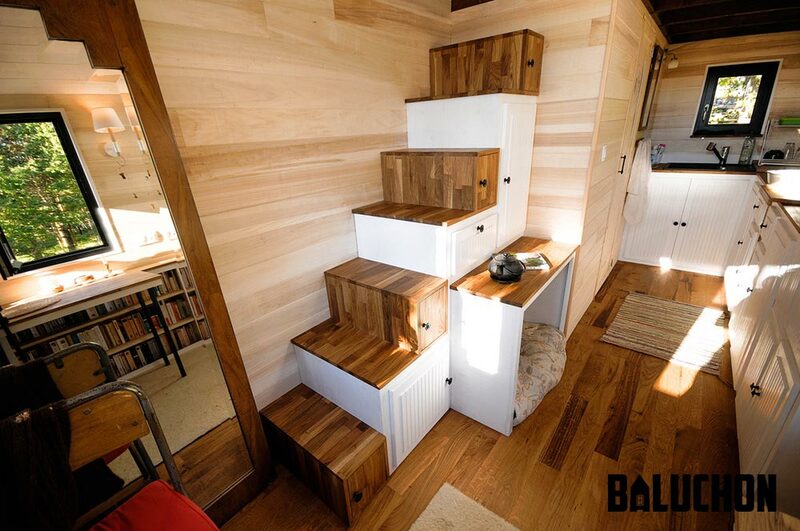 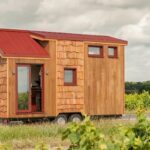 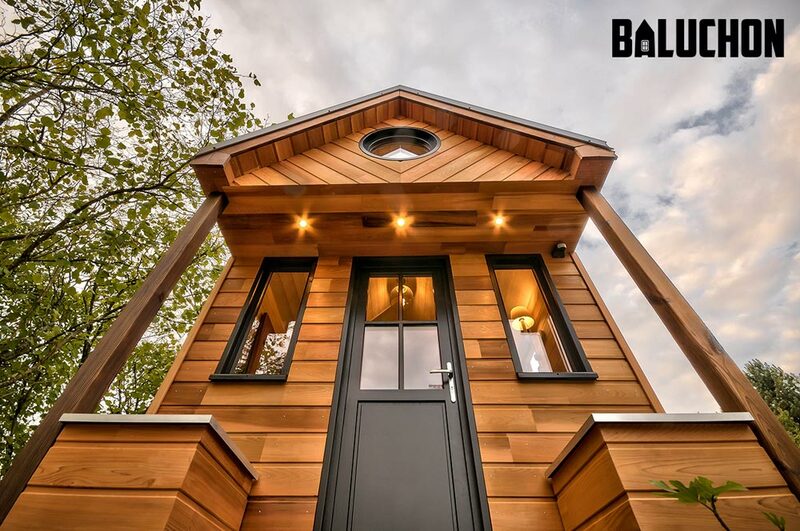 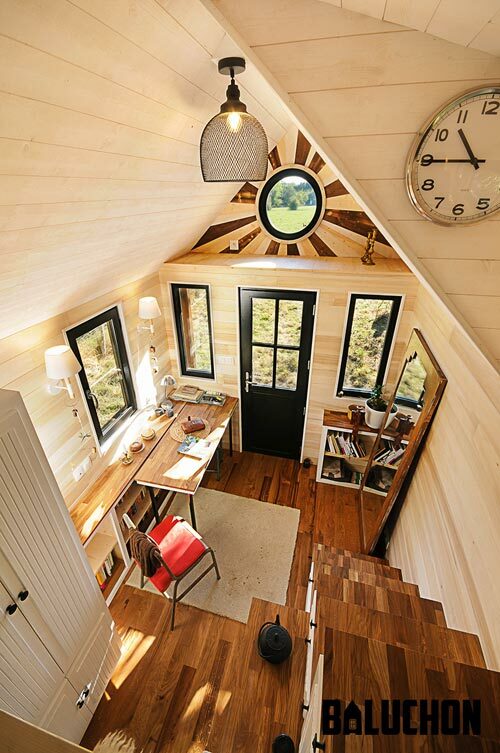 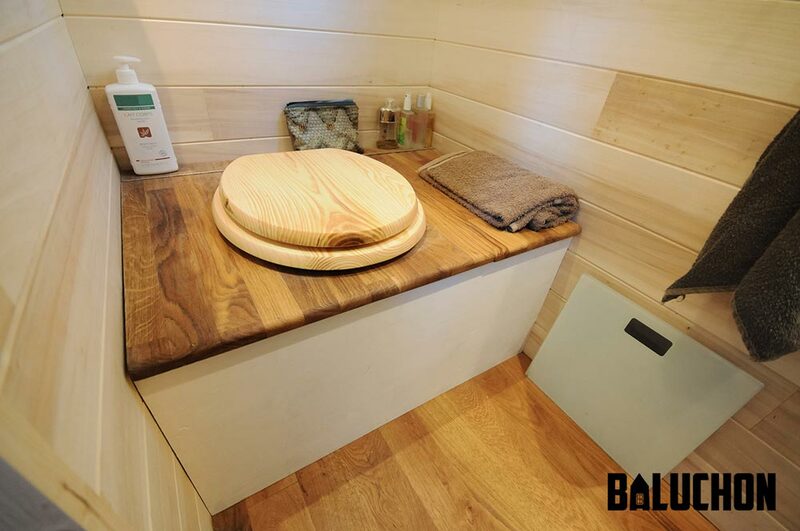 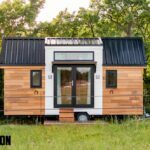 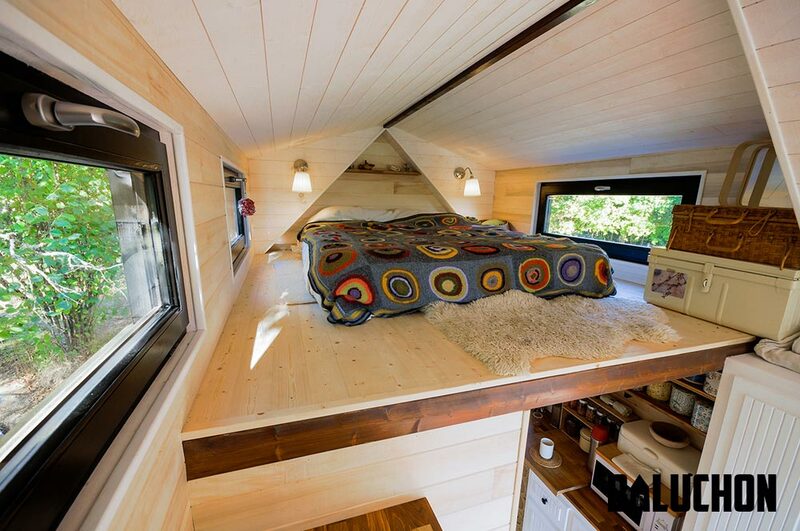 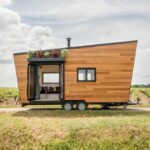 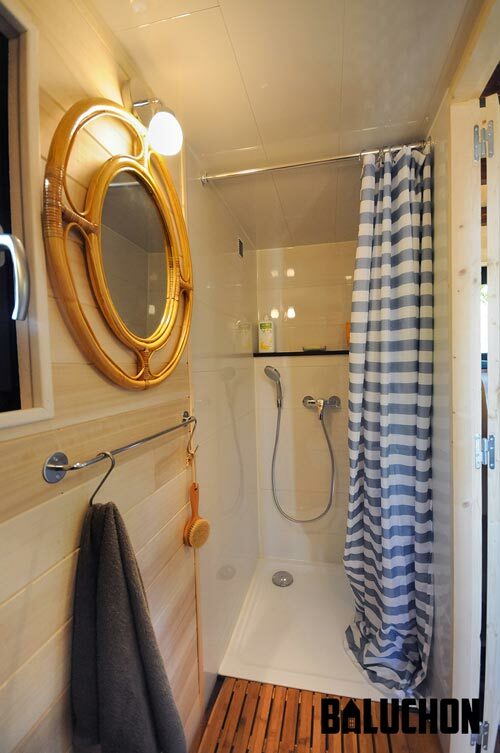 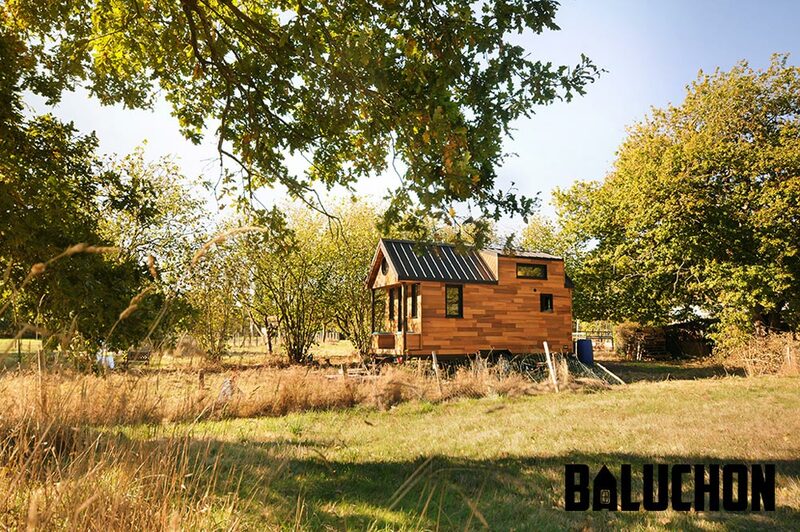 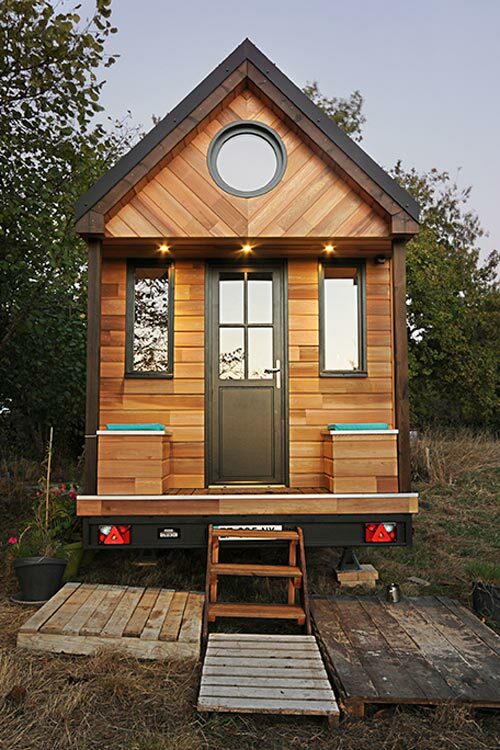 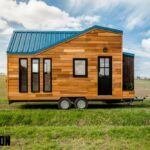 The 6-meter (~20-foot) tiny house is crafted from cedar siding and features a covered patio with two bench seats. 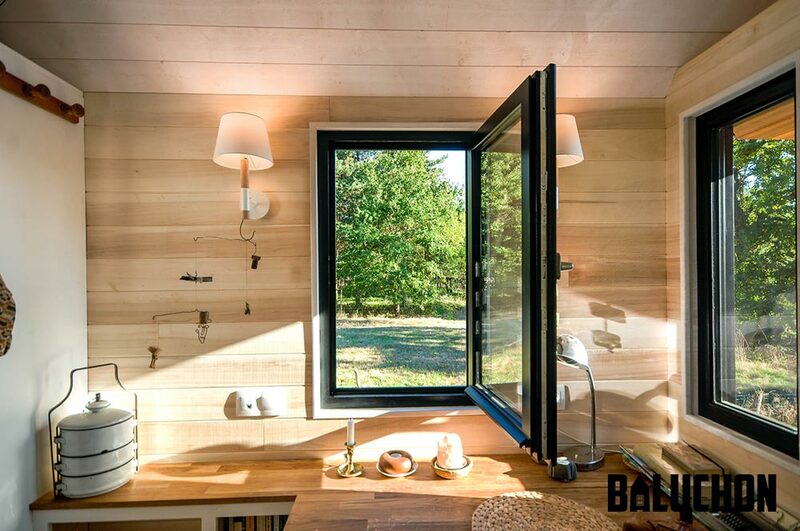 The interior is nice and bright thanks to the natural poplar walls and lots of natural light. 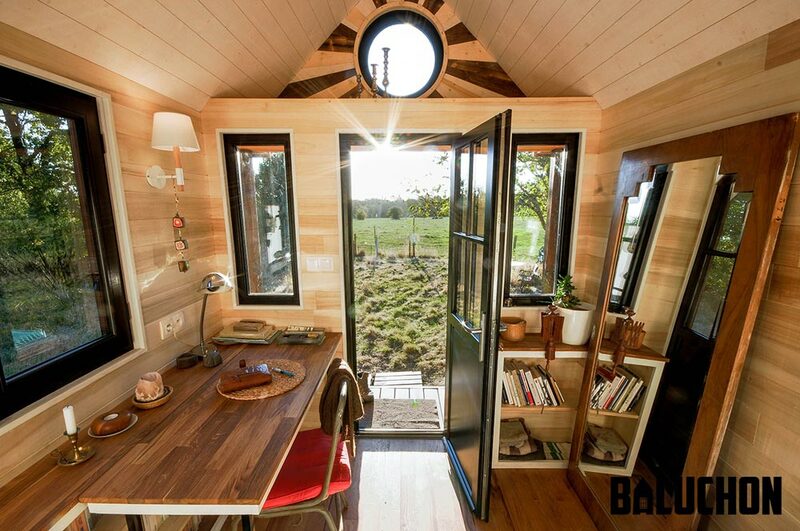 With plenty of bookshelves to hold her book collection, the homeowner can read while enjoying her peaceful countryside location. 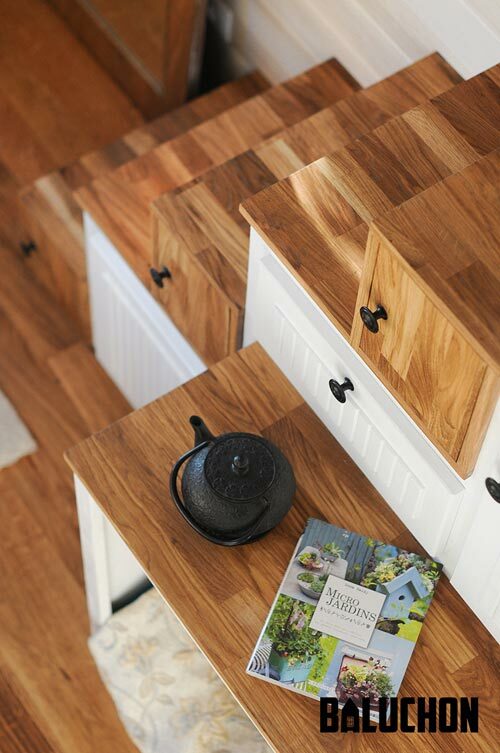 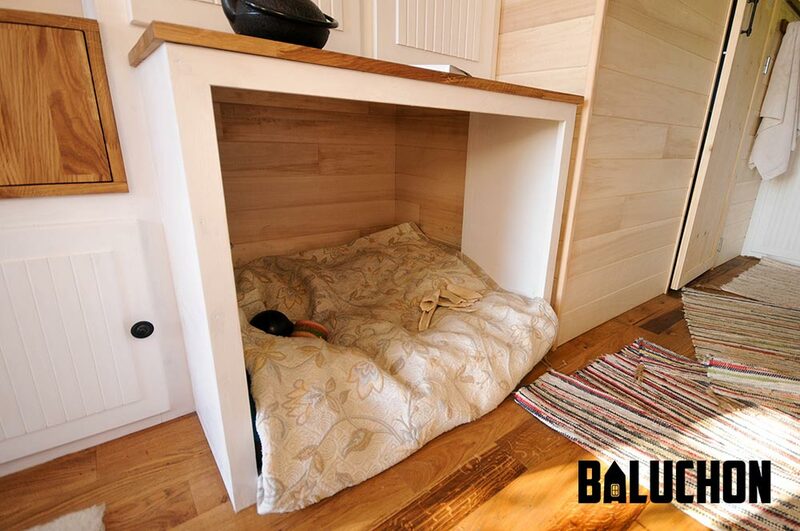 Rustic solid oak flooring throughout the house provides a warm ambience and there is even a nook under the stairs for the owner’s two dogs. 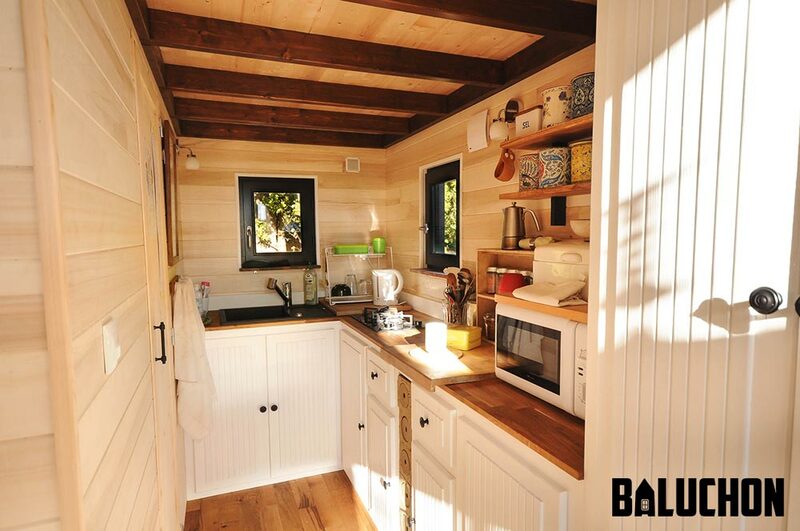 A 2.5 meter (~8 foot) L-shaped kitchen includes a two burner cooktop, upper shelves, and raw clay lockers to keep wine and other beverages cool.